Today I want to introduce you to five books that have influenced my life in every way. These books are straight forward and simple, but yield amazing results. Productivity. It’s essential in today’s military. There’s not enough time to accomplish everything on your To Do list. Your head feels cluttered trying to keep up with your primary job, family, volunteering, and college. Getting Things Done is the answer to the knowledge worker’s problems. 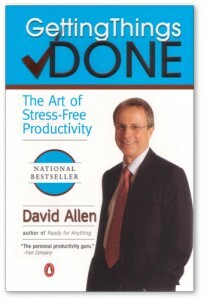 In his book, David Allen shows you how to capture everything that you think about into a single system. Write down all your projects and commitments. Organize them by context, or the place where you will likely accomplish them. If something takes less than two minutes, do it. I’ve used GTD for five years now and have accomplished so much. I feel good about myself knowing I’m keeping up with my job and not neglecting my family. Give GTD a try! The first books I read on personal finance were about investing. I was really into the Motley Fool and Rich Dad Poor Dad. Those books are great, but you need to read Total Money Makeover first. Why? You need to have your finances in order before you start investing. You need an emergency fund (at least $500). You need to pay off your credit cards and get out of debt (for good!). Dave Ramsey calls these baby steps and he lays them out in plain english. Dave Ramsey has a great radio show that will keep you on track. 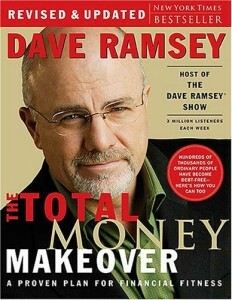 My favorite thing about Dave Ramsey is how he keeps you motivated! A huge part of leadership is learning to deal with people. 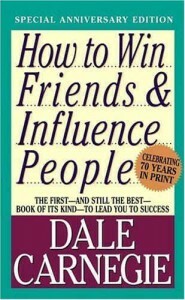 I can’t think of a better way to learn this skill then by reading How to Win Friends. This book shows you how to treat people, whether it’s in the workplace or not. I’ve given this book to several NCOs that were trying to improve their leadership skills, and have seen improvement in every one. Improving your relationships will improve your life. This is a book that everybody should read at least once. There are countless books written on each of these three subjects alone. 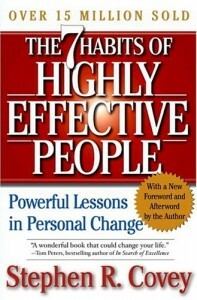 Steven Covey covers them brilliantly and in a simple fashion. His final habit “Sharpen the Saw” reminds us to continually read, learn, and exercise to keep our bodies and minds in excellent shape. 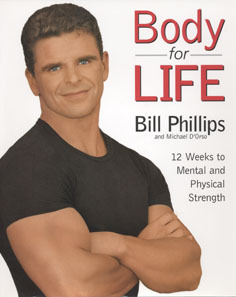 Body for Life is a great book that will help you get in shape. It not olny covers fitness, but also eating healthy. The support files on the web site are great and help keep you on track.